My Sew Called Life...: Plan for the Day! Looks like it is going to be another nice day here. I need to go outside and water but I think I am going to have Gary take care of that since he is home. My goal today is to make at least 5 blocks of my CWLL quilt. We will see! BUT first, I am trying to look for some plastic bins for my scraps. I am cutting my scraps into 1-1/2", 2-1/2", 3" and 3-1/2" squares. I want to separate them and put them in containers with a label so that ONE DAY I am going to use them. OR if I could use a few pieces if not ALL in a quilt. 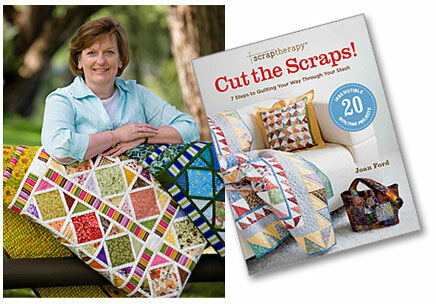 I have been reading "Cut the Scraps" by Joan Ford. Wonderful book and I am actually following a lot of her ideas. Now off to find some plastic containers.